The fun continues this fall season in Katy, TX! As your Katy real estate agent, allow me to fill you in on fun, upcoming family-friendly festivals and events to mark in your calendar! Kids Night at CAP is coming up this Friday, Sept. 28, from 6:30 to 9:30 p.m. CAP Animal Shelter & Pet Adoption Center hosts a Kids Night every last Friday of the month, to celebrate the bond between kids and animals. Kids can enjoy a dinner, go to a movie, or hang out at CAP and make fun animal-themed crafts or play games. Kids six and up are welcome for a donation of $15 per child. Then you can go enjoy a date night! Head to Brookshire to attend Fall Festival at Dewberry Farm! This begins this Saturday, Sept. 29, and runs until Nov. 11. Enjoy all the things that make the fall season so wonderful, such as a corn maze, a pumpkin patch, wine and beer in the Cantina, seasonal food for the whole family and so much more. Pick out some pumpkins to bring home for decoration or for carving or painting! Support local artists and crafters at the Real Craftwives of Katy Fall Market on Oct. 7! This will take place at No Label Brewing Co. and will feature over 60 local vendors. There will also be live music, food trucks, kids activities and more, so make a day of it! Entry is free. The Katy Rice Festival takes place Oct. 12-14 in Downtown Historic Katy. Enjoy a full weekend of art and craft vendors, live music, food, a beer garden and a carnival. There is, of course, also a rice cooking competition, and a student arts competition. A parade will take place Saturday morning. All proceeds from the event go toward student scholarships and to local charities through the Rotary Club of Katy. Halloween events begin with a “Howl-o-ween” Dog Walk, Costume Contest & Pet Expo at Central Green Park in LaCenterra on Oct. 13. 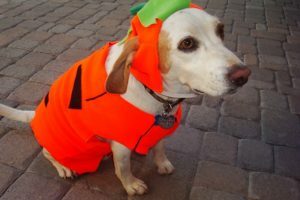 Take a walk with your dogs to benefit thousands of needy pets helped by Citizens for Animal Protection, hunt for treats for people and pooches in the Pet Expo, and show off your pet’s best costume for the Canine Costume contest. Cinema Under the Stars is back on Oct. 20 from 7 to 10 p.m. Enjoy the movie ‘Coco’ outside in the courtyard of LaCenterra, in front of Las Alamedas. There will be food and fun before the movie begins. Bring blankets or lawn chairs for sitting in during the movie! Stay tuned for more upcoming fall events in Katy in future blog posts! For now, enjoy the beginning of the fall season, and contact me when ready to achieve your Katy real estate market goals. Fall is a great time to buy, sell or both, and as your Katy real estate agent, I am here and ready to help! 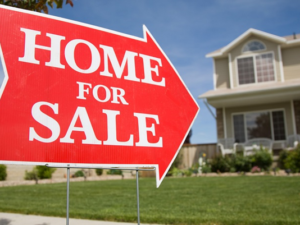 Is it time to sell your Katy home? Have you been thinking about selling your Katy home this fall? Perhaps you’ve heard that it’s a seller’s market and that inventory is low and buyer demand is high. Or perhaps you’d just like to live better in your means, or grow into a home that fits your future’s needs. No matter what your reason, as your Katy real estate agent, I am here to help! 1. You want in on a seller’s market. If you know you want to sell sometime in the near future, now is the time to list in the Katy real estate market and take advantage of the low inventory and high buyer demand. As prices and mortgage rates rise, buyer demand might decrease. As baby boomers age, inventory may increase. New home development is on the rise as well. The conditions are ideal for selling now, so if you want to take advantage, now is the time to do so! 2. Comparable homes are selling for a lot. When thinking about selling, it’s wise to do some research, or to contact an agent, and find out what homes similar to yours are selling for in the Katy real estate market. If these listings are selling at a price that you’d be more than happy with, this is a good sign that you can expect a similar price for your home, as long as there are no major issues with the inspection or appraisal. 3. You need a larger home. If your family has grown in size, but your house hasn’t, this is a sure sign that it’s time to move. Whether you need more bedrooms for your little ones, you need a large yard for your pets, or you need an in-law suite for your aging parents, there are plenty of reasons to move up from your starter home to your dream home! Now is the time to do so, before prices and mortgage rates increase any more. 4. You’re financially stressed. On the other side of the coin, perhaps it’s time for you to downsize. Whether you are retired and your kids have moved out, leaving you with a home larger than you need, or you bought too high the first time and are feeling the financial burden, now is a great time to sell and get a great price for your home. Then, you can buy smaller and save. 5. You’re tired of the maintenance. As homeowners age, or become parents, or get high-stress jobs, they may find that the maintenance of landscaping, a pool, a large home, etc. may be too much for them. Or perhaps the long drive to work is stressing you out. Whether you need a new home, or a new location, drop the stress and maintenance tasks and find a home with less stress! If you relate to any of these reasons to sell, or you’ve just been thinking about selling a lot lately, contact me, your Katy real estate agent. I can answer any questions you may have, and I can guide you through the entire home-selling process in the Katy real estate market. Give me a call!